Spacious departmental library with considerable number of books for reference along with multimedia projector. 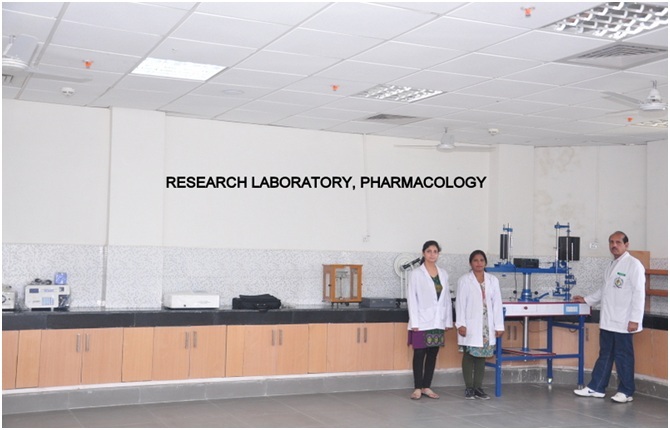 A well established Research lab having facility for carrying out research in experimental as well as clinical pharmacology for postgraduates as well as under graduate students. 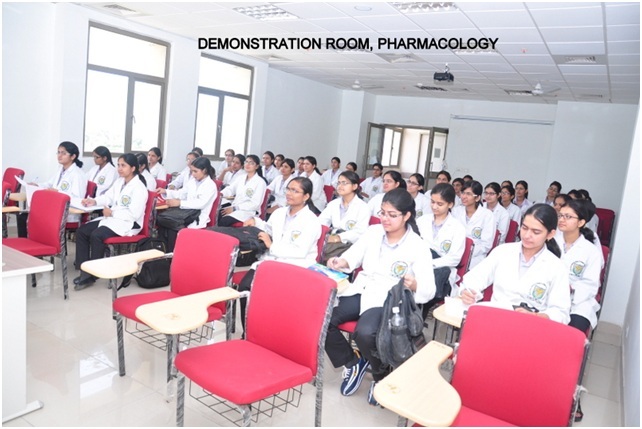 A spacious demonstration room having a comfortable atmosphere for students along with a multimedia projector. 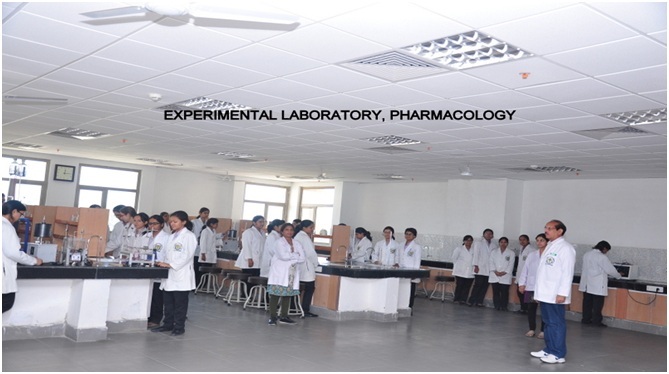 Experimental lab is equipped with all the latest instruments for carrying out experimental pharmacology practicals. 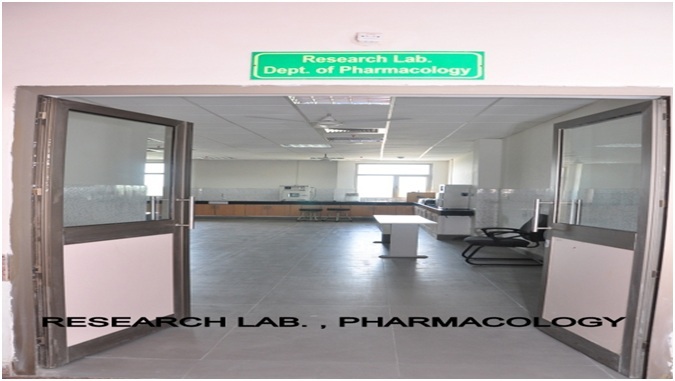 Well equipped clinical pharmacology and pharmacy lab is available with all required teaching tools for the students. 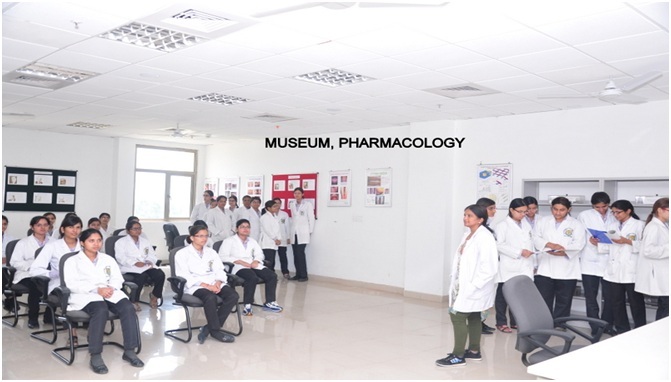 Spacious museum with a number of specimens, charts and drug samples are available along with catalogues for ready reference. 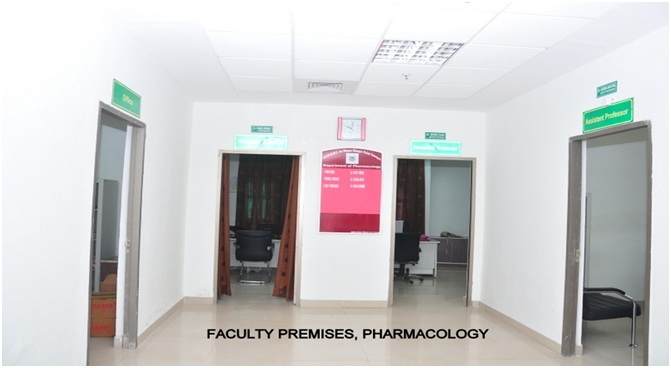 For faculty, spacious rooms are available in the official complex in the Deptt. 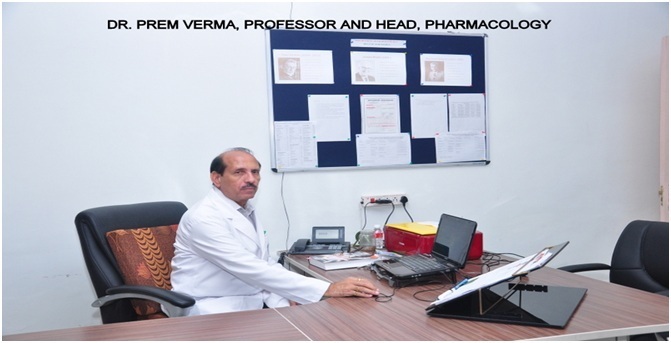 All the laboratories, demonstration rooms and office complex are centrally air conditioned having facility for computer, printer and photocopying machine.